On the five hundredth anniversary of the Reformation it is a little odd that we are still talking about Calvin's sensus divinitatis. For one thing, the sensus appears only at the beginning of the Institutes and is somewhat dismissed by Calvin as being inadequate for saving anyone. The sensus is also a species of innate idea. But ever since John Locke's Essay forced a retreat by nativists, talk of innate knowledge of anything has remained largely a niche activity. More recently, however, some philosophers of religion have proposed interpretations of Calvin's sensus that do not entail innate ideas and thus do not fall foul to Locke’s criticisms. Although much of the discussion of nativism has focused on the source of innate knowledge or its justification, I will focus on the nature of the sensus. Just what is it? There are two questions at hand. First, what did Calvin mean by a sense of the divine? In the first section, I will argue that, given Calvin's overall argument in the first part of the Institutes, it is likely that, although he would support the general conclusion of the nativist—that there is something within the human mind—he would likely remain neutral on the precise nature of it. Second, out of the nativist options, is there one that is both faithful to Calvin’s text and philosophically defensible? In the second section, I will suggest that recent scholarship has made mild forms of nativism much more respectable than they were during the heyday of empiricism and that these forms of nativism are compatible with Calvin’s description. There is within the human mind, and indeed by natural instinct, an awareness of divinity. This we take to be beyond controversy. To prevent anyone from taking refuge in the pretense of ignorance, God himself has implanted in all men a certain understanding of his divine majesty. Ever renewing its memory, he repeatedly sheds fresh drops. Since, therefore, men one and all perceive that there is a God and that he is their Maker, they are condemned by their own testimony because they have failed to honor him and to consecrate their lives to his will... Therefore, since from the beginning of the world there has been no region, no city, in short, no household, that could do without religion, there lies in this a tacit confession of a sense of deity inscribed in the hearts of all. What is striking about Calvin’s description of the sensus is the plethora of terms with which he describes it. The sensus is at the same time an awareness, an understanding, an inscription in the heart, a testimony, and something perceived. He calls the sensus a conviction that there is a God, an awareness of the existence of God, and a belief in God as well as an idea and an impression of God. Given Calvin's multitudinous descriptions of the sensus, it is unlikely that he intends to expend precious pages on its nature. Rather, his main point seems to be that we all have one, we cannot rid ourselves of it, and we will find it useless if we want to go to heaven. What we should notice, however, is the liberality with which the sensus is distributed – everyone has one. Consequently, the sensus serves to condemn those who fail to worship God. It is similarly irrepressible despite our best efforts. Even those who are ill-educated tend to form religious cults based on a theistic belief. Furthermore, those who display great hostility toward God, nonetheless find it very difficult to escape from the compulsion to believe in him. Both these observations serve Calvin as inductive arguments for the presence of a sense of the divine in every human mind. In chapter five, Calvin suggests that we gain our knowledge of God by experiencing nature. In nature, God displays his marks of glory, his insignia. The universe acts as a mirror that reflects its creator and as a witness declaring the wisdom of God. At this point Calvin tells us that even though we have knowledge of God, such knowledge cannot do anything to help our impious condition. Such knowledge ought to lead us to worship and to hope for the future life, but “such is our stupidity that we grow increasingly dull toward so manifest testimonies, and they flow away without profiting us.” Due to human sin, such testimonies in nature reveal God but are fruitless for the knowledge of God Calvin hopes his reader to obtain. What, then, is the means by which a human being might have his error put right? For Calvin, man has not got within himself the wherewithal to overcome his fallen nature. What is needed is God's revelation in his Word. Calvin's conclusion, then, is to begin the Institutes as he means to go on – with what the Bible has to say about God: “All things will tend to this end, that God, the Artificer of the universe, is made manifest to us in Scripture, and that what we ought to think of him is set forth there, lest we seek some uncertain deity by devious paths.” In sum, while nature is sufficient for the sensus to produce some belief in God, it is not sufficient to produce the necessary clarity required to produce a saving knowledge of God. Such a power lies in Scripture and only as one is enabled by the Spirit. Given the influence of Cicero’s stoic theory of innate ideas, it is plausible Calvin is supportive of them. Edward Adams argues that Calvin's sensus should be taken to mean something like a “prior notion” or “preconception.” According to Adams, a preconception is “a basic notion which arises naturally without mental effort or instruction.” Preconceptions are universally held by human beings and are the necessary conditions for interpreting experience. For example, the preconception of justice allows us to categorize actions according to their moral status. Similarly, a preconception of goodness allows us to evaluate what we experience. Since they are assumed, “preconceptions operate as 'yardsticks' or kanones against which theories and opinions can be tested.” Adams suggests that the preconception is “innate theological knowledge” that is “chronologically and logically a priori.” Just as our preconception of justice allows us to interpret experience according to moral categories, our theological preconception is the means by which we are able to recognize divinity. The trouble with an innate ideas view is that it runs afoul of John Locke’s criticisms. Locke argued that human beings are born with minds that are ‘blank slates.’ Against his nativist foes, Locke argued that it does not follow from knowledge being universal that it must be innate. It may just be that there are some truths that are more obvious than others. Second, Locke argues that children do not appear to have any innate knowledge of true propositions because they do not understand them. If one replies that they have dispositional knowledge of those propositions, but not occurrent knowledge, then Locke replies that this new definition of innate implies that all propositions we come to know are innate. Although there are signs that Calvin held to a stronger nativism that Locke would have approved of, it is possible to interpret Calvin in a way that is compatible with some more contemporary views. What is clear from Calvin is that there is something within the human mind. Thus, if a theory remains nativist, it is compatible at least with Calvin’s general view. In the following section, I examine a dispositional account, which includes a view of the sensus as an innate capacity. I will suggest that this view is philosophically defensible while remaining sufficiently within the nativist camp. I will argue that the nativist has an explanation for the universality of theistic belief, which also explains the competence of the human mind to correctly process experience. Although Alvin Plantinga entertains the thought that Calvin is talking about innate ideas, he dismisses it: “it doesn’t follow that we know elementary arithmetic from our mother’s womb; it takes a little maturity. My guess is Calvin thinks the same with respect to this knowledge of God.” As Locke points out in his Essay, the trouble with innate ideas and beliefs is that to be truly innate, they must be present from birth. Paul Helm also rejects the view that Calvin’s sensus is an innate idea of God. Helm even suggests that Calvin and Locke would have agreed on this point. In its place, Plantinga and Helm suggest a dispositional account of the sensus. 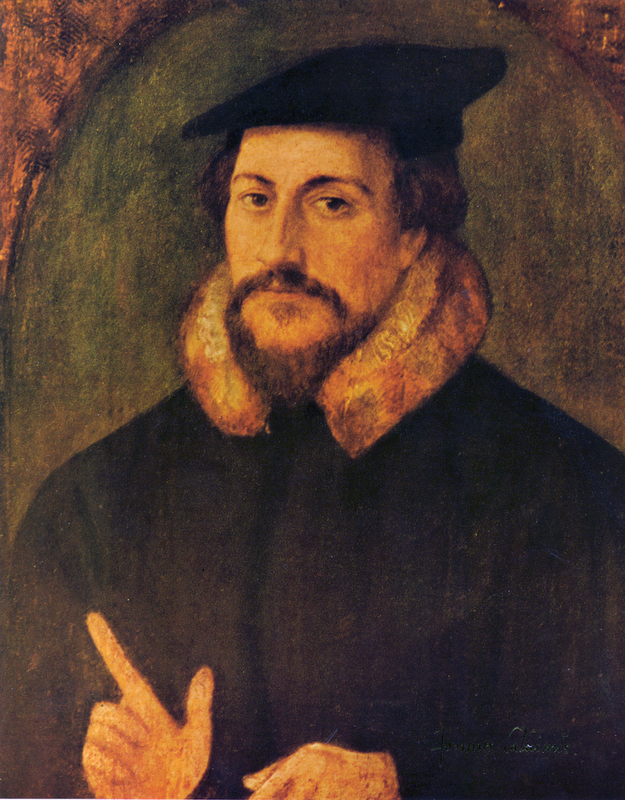 Plantinga argues that Calvin's sensus divinitatis is “an innate tendency, nisus, or disposition to believe in him [God].” Rather than an actual belief in God, Plantinga says that the sensus should be taken as a “strong tendency or inclination toward belief in him.” On the dispositional account, what is inside the human mind is not the idea or belief itself, but rather a disposition for such an idea or belief to emerge given the presence of certain stimulus conditions: "The sensus divinitatis” Plantinga says, “is a disposition or set of dispositions to form theistic beliefs in various circumstances, in response to the sorts of conditions or stimuli that trigger the working of this sense of divinity." Plantinga suggests that the stimulus condition that the sensus needs in order to be activated is an encounter with nature. Thus, when the universe is perceived by human beings they form a belief in God. Dispositions are usually parsed in terms of a manifestations and stimulus conditions. The most common example in the literature is the disposition of glass to shatter when struck. A glass manifests its disposition by shattering when presented with its stimulus condition – being struck. On the dispositional view of the sensus, the same is true – the sensus manifests theistic beliefs when it is presented with its stimulus conditions – an experience of nature. Of course, in the case of the stimulus, other senses—sight, hearing, touch etc.—are involved for it is via our ordinary faculties that the sensus receives the data sufficient for the manifestation of its disposition. What the dispositional account denies, therefore, is that human beings learn that God exists. To learn a concept or belief is to formulate and test a hypothesis about its content. To learn that God exists, therefore, is to rationally process data and reach a conclusion. In contrast, to acquire a belief or concept due to a disposition is a ‘brute-causal’ process whereby there is no testing of a hypothesis. Just as the glass shatters upon impact, the sensus produces theistic beliefs upon its being triggered by the input from nature. In chapter five of the Institutes, Calvin seems to support Plantinga's initial interpretation. Calvin argues that our experience of nature compels in to form theistic beliefs: "men cannot open their eyes without being compelled to see [God]." Compulsion implies a disposition since it seems to lend itself to the idea that much as a glass cannot help but shatter when struck, a person cannot help but believe in God when exposed to nature's design and beauty. However, Plantinga goes further and suggests that Calvin's sensus should also be taken as a domain specific device with the capacity to produce theistic beliefs, “a kind of faculty or a cognitive mechanism” that produces beliefs about God when activated by certain sets of experiences. Whereas a disposition to form theistic beliefs merely requires that a human being form a belief in God if it is the case that certain stimulus conditions occur, a capacity to form beliefs requires that an entity has the capacity to correctly process certain inputs and from those inputs produce an appropriate output. Stimulus conditions, in this case, must be taken as inputs for the device, which, in turn, correctly processes them and produces a belief in God. As Plantinga suggests, "we can think of the sensus divinitatis...as an input-output device: it takes the circumstances mentioned above as input and issues as output theistic beliefs." It is, as Helm suggests, an innate “faculty” that is able to “grasp” knowledge of God. The sensus has a certain power to inform us that there is a God. It is not merely how we come to produce theistic beliefs but the sensus itself produces belief in God. The SD is not of course a sense in the way in which the five senses are. But as the five senses are universal human capacities to discriminate sounds and tastes and so forth which arise in our environment, and are the proper endowment of any normal human being, so the SD is a universal (and original) capacity, distinct from the five senses but not wholly unrelated to their operation. The question is: Do we have such a thing? And what reason do we have for thinking so? First, one might suggest that the general cognitive equipment we are given is incapable of producing theistic beliefs. If it can be shown that theistic beliefs require their own production system and given that theistic beliefs are universal, then we would have a pretty good argument for the domain specificity version of the sensus. Second, it may be possible to show that, given the inputs of nature, we have insufficient stimulus for our general cognitive equipment to produce a theistic belief. Perhaps we might think that seeing a beautiful sunset may inspire wonder, but there is nothing identifiable in it to suggest material for a theistic belief. Thus, there must be something extra within our minds operating in a special way. In response to the latter argument, we should note that the same argument could be applied to many other domains of learning. We appear to have insufficient inputs for the resultant outputs for domains such as morality, language, facial recognition, and identification of kinds of food from their smells. We don’t posit separate cognitive devices for each domain, so why should we do so for the acquisition of the knowledge of God? The nativist may respond that we do indeed posit domain specific devices for those tasks. For example, language acquisition requires a domain specific device, a language learning module. Such a view is commonly propounded by those who follow Noam Chomsky’s work on pyscholinguistics. The same is true of facial recognition. The otherwise undeveloped perceptual abilities of a child are somehow able to recognize faces. A domain specific facial recognition module would explain what is lacking from experience. The same goes for our moral conscience. If many of our beliefs and skills are derived from the deliverances of domain specific devices in our minds, then it would come as no surprise that we have a device the purpose of which is to supply its owner with a theistic belief. Descartes offers support for the first argument. He argues that the input to our senses is inadequate for producing the idea of God. Such a grand concept would require an input that carries within it sufficient perfections to cause a corresponding idea of perfection the in the mind. Since the world does not exhibit sufficient perfections, the idea of God must come from elsewhere. Descartes concludes that the idea of God must be innate. Plantinga’s solution supposes that God builds human beings with a special sense, one that can produce theistic beliefs from the ‘poverty of stimulus’ available to it. Presumably, what the sensus supplies is what is lacking from experience. However, it is not clear that Descartes’ assumption is true. Why think that an input of experience is insufficient for our cognitive capacities to produce beliefs beyond that which is gained through experience? Could our minds not abstract from imperfect shapes the perfect forms we find in our minds? Still, given the grand idea of God and the relatively impoverished input through our senses, we do have some reason to think our minds are equipped with a capacity beyond that which is required for many of our other ordinary cognitive tasks. Though the image of a “device” in the mind is initially plausible in part due to our ever-growing assumption that the mind can be conceived of in computational terms, it is not altogether clear how we might characterize the sensus as a capacity. If the sensus is a capacity, then it has a range of powers. The range of powers includes at least a competence and an opportunity to correctly process inputs producing theistic beliefs. If a person has a competence, then that person can correctly process inputs and produce the appropriate outputs. Paul Helm considers the capacity of the sensus to be an ongoing “skill which is kept up by daily practice.” He compares sustaining one’s knowledge of God with the continual practice of identifying species of birds, a skill that, if not practiced, will be lost. The idea of a skill implies competence. A skill is acquired only if one has acquired a competency to perform a task. According to Helm, both the dispositional ability and its continual use are required for the sensus to function. On Helm’s view, the initial theistic belief is automatic: “mankind is created not only as capable of knowing God, but as actually knowing him... belief in God is natural in the sense of being part of man's original condition, part of what it means to be really or fully human.” It is unlikely that Helm means to deny that the sensus is now not part of what it means to be human. Helm argues that though hampered by sin, the post-lapsarian sensus continues to produce theistic beliefs to varying degrees dependent upon the level to which a person is prepared to accept those beliefs and the regularity with which she practices her skill. Once our initial belief that God exists is acquired, it is sustained by a continual use of our skill. The skill is only able to operate with continual input, but it is not passively producing theistic beliefs. Rather, according to Helm, the sensus must work continually upon those triggers to sustain our belief in God: “By the SD and a triggering environment we gain and retain the knowledge of God.” This is a plausible interpretation of what Calvin suggests. According to Calvin, God is "ever renewing its [the sensus’] memory, he repeatedly sheds fresh drops." Plausibly, nature serves as a consistent stimulus for knowledge of God. God renews our memory through our experience of nature. If the sensus is a kind of skill, what kind is it? Are we to think of the skill of the sensus analogously with driving a car, playing a guitar, or competing in a sport? If so, then such a skill is learned and not innate. We have no compulsion to acquire such skills. If I had been wiser, I would not have sought rock stardom by learning to play the guitar instead of studying hard at school. However, there are some skills that we appear to be compelled to acquire. Very few human being fail to acquire a natural language, for example. Merely by being exposed to other language users, a child ‘picks up’ language almost compulsively. Other skills are equally difficult to avoid. The ability to grasp objects, think, or move our eyes in the direction of something we want to look at are all skills, but none of them require instruction. The implicit idea seems to be that our skill to know that there is a God is an unlearned skill. Prior to experience, we already have the skill to take inputs and generate a theistic belief. But as with any skill, we must continue to use it if we are to gain the full benefit from it. This is true of other innate skills. The ability to think only reaches its potential given a good consistent source of inputs. As any Ph.D. student will tell you, if we fail to move our bodies with any regularity, we will find doing so increasingly difficult. However, it is not clear that the positing of the sensus as a skill aids its plausibility. For if the sensus is an acquired skill, it is not innate. This is clearly unacceptable for Helm. However, the other side of the argument is not clearly decisive: It may be the case that putatively innate skills are not innate at all. Consider the skill of moving one’s eyes to look at something. One might suggest that such a skill is not acquired, but it is very difficult to say for sure. For much of the early life of a new-born, parents attempt to gain the attention of their children. They do so through waving, smiling and making noises. Such activities plausibly train a child to direct her attention to the source of all the activity. Perhaps the skill to attend one’s perception to one input from a vast range of options is implicitly learned as a child directs her attention to the antics of her parents. In the same way, once children are old enough to think and have acquired a modicum of their natural language, they are confronted with an ever increasing experience of the world. It is not out of the question to suggest that such experiences serve to gain our attention and in doing so we acquire the skill of knowing God. How such a skill is acquired may be mysterious, but no more so than the skill a child acquires to focus her attention on one thing out of all the options available to her. It may be that the skill of asking how some things come to be the way they are is a skill implicitly acquired by exposure to the grand vision of nature. The main conclusion from all this is that it does not necessarily follow from a skill appearing innate that it is in fact so. It may be that we do not know exactly how we acquire the skill, but we can see how it is possible that we have acquired our skill to recognize God’s existence from our experiences of nature. A dispositional account of the sensus proposes how a belief in God can be acquired without being learned. The disposition is explained in terms of a domain specific device, capable of competently processing inputs and producing theistic beliefs. This view is clearly nativist while not open to Locke’s criticism of innate ideas. However, it is open for a contrasting empiricist theory which affirms that theistic beliefs are universal but denies the nativist explanation. What this theory requires, however, is some way to explain the competence of a general non-domain specific set of intellectual faculties. Such a theory must explain how a learning strategy within the mind can be sufficiently restrained to produce only theistic beliefs when confronted with nature. To this issue, the nativist has a clear response: the sensus device is designed in such a way as to produce just those beliefs and no others. Thus, though the arguments for the nativists are not conclusive, they are at least a more plausible explanation for the universality of our knowledge of God. I have suggested that Calvin’s conception of the sensus is fairly liberal. Thus, as long as the interpretation remains nativist it is compatible with Calvin’s view. I have further argued that though the dispositional account is not conclusive, it does provide the best explanation for the universality of theistic belief. The apparent universality of theistic belief may yet be challenged. Such a challenge is empirical in nature and beyond the scope of this work. However, one may defend the claim on scriptural grounds. In the first chapter of Romans, Paul claims that everyone knows God. However, to accept scriptural evidence, one would need to accept the veracity of revelation, something of which I’m sure John Calvin would approve. John Calvin, Institutes of the Christian Religion, ed. John McNeill (Louisville: Westminster John Knox Press, 2006), I. 3. 1. Institutes, I. 3. 1; I. 3. 1. Cf. Caleb Clanton, “John Calvin and John Locke on the Sensus Divinitatis and Innativism,” Religions 8.27 (2017), 3. “The world... tries as far as it is able to cast away all knowledge of God, and by every means to corrupt the worship of him. I only say that though the stupid hardness in their minds, which the impious eagerly conjure up to reject God, wastes away, yet the sense of divinity, which they greatly wished to have extinguished, thrives and presently burgeons.” Ibid., I. 3. 3. “But with the aid of spectacles will begin to read distinctly; so Scripture, gathering up the otherwise confused knowledge of God in our minds, having dispersed our dullness, clearly shows us the true God." Inst, I. 6. 1. John Feinberg, Can You Believe It's True? Christian Apologetics in a Modern and Postmodern Era (Wheaton: Crossway, 2013), 503. Cf. Charles Partee, Calvin and Classical Philosophy (Leiden: E. J. Brill, 1977), 29-41. Edward Adams, “Calvin's View of Natural Knowledge of God,” in International Journal of Systematic Theology, 3 (November 2001)., 285. Alvin Plantinga, Warranted Christian Belief (New York: Oxford University Press, 2000), 173. Alvin Plantinga, “Reason and belief in God,” in Faith and Rationality (Notre Dame: University of Notre Dame Press, 1983), 16–93. Both Descartes and Leibniz present analogies of nativism of the dispositional kind. Descartes suggests that innate ideas are produced much like the symptoms of an inherited sickness. Leibniz compares the production of innate ideas with the veins in a block of marble that, when worked upon by a sculptor, will outline the form of Hercules. Fiona Cowie, What's Within? Nativism Reconsidered (New York: Oxford University Press, 1999), 5. Plantinga, Warranted Christian Belief, 173. Helm agrees at this point: "the sensus... is a dispositional ability” Paul Helm, "John Calvin, the sensus divinitatis, and the noetic effects of sin," International Journal for Philosophy of Religion 43 (1998): 92. Plantinga, “Reason and belief in God,” 67. Fiona Cowie, What's Within? Nativism Reconsidered (New York: Oxford University Press, 1999), 81. Plantinga, Warranted Christian Belief, 172. “The sensus is thus not merely a sense for knowing God, when it is working properly in the right conditions it is a sense that tells us that there is a God.” Paul Helm, “John Calvin, the sensus divinitatis, and the noetic effects of sin," 91. Paul Helm, "John Calvin, the sensus divinitatis, and the noetic effects of sin," International Journal for Philosophy of Religion 43 (1998): 94. Hilary Putnam makes a similar argument against Chomskian nativism about language acquisition. Chess, driving, playing peggity are all activities demanding a learning strategy sufficient for the complexity of the task. But none, as far as we know, demand a domain specific capacity with its own built-in set of known propositions. “Until we understand the strategies which make general learning possible…no discussion of the limits of learning can even begin.” Hilary Putnam, “The ‘Innateness Hypothesis’ and Explanatory Models in Linguistics” Synthese, Vol. 17, No. 1 (March 1967): 12-22. Paul Helm, John Calvin's Ideas (Oxford: Oxford University Press, 2004), 222. Paul Helm, "John Calvin, the sensus divinitatis, and the noetic effects of sin," International Journal for Philosophy of Religion 43 (1998): 100. Michael Devitt, Ignorance of Language (New York: Oxford University Press, 2006), 216. A similar conclusion is reached by Fiona Cowie in regards to linguistic nativism. Cowie, What’s Within?.